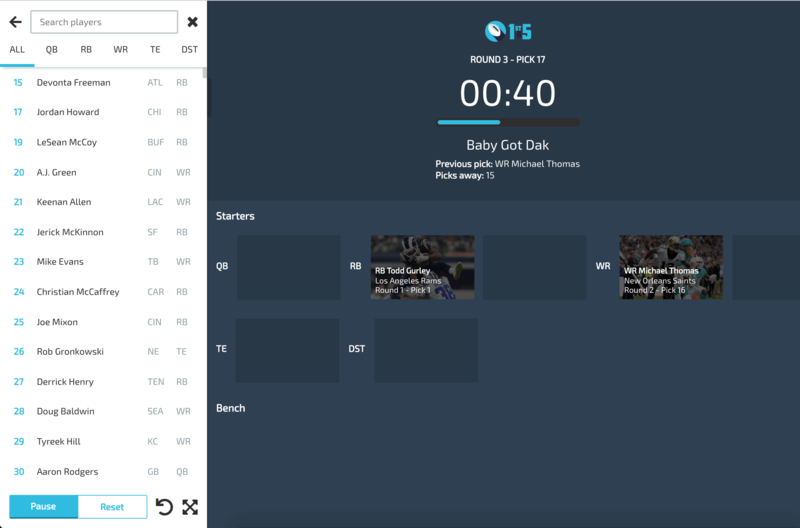 Take your draft experience to the next level with 1st&5 Draft. Get your league together for the ultimate in-person fantasy football draft experience. Get the league together for a night of fantasy football bliss. Let the in-person smack talking begin. No more laptops, spreadsheets and leagumates huddled in corners installing flash. 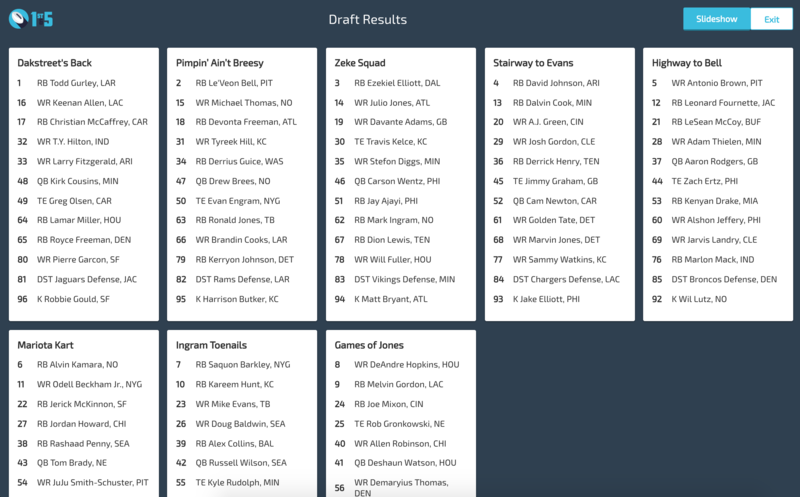 Easily build your own ranking set to bring into your draft with you. Instead of looking at standard rankings when drafting, you'll see your own custom rankings. No more spreadsheets. No more scrambling around on your laptop during the draft. Put the draft board up on your big screen. No more fumbling around with stickies. 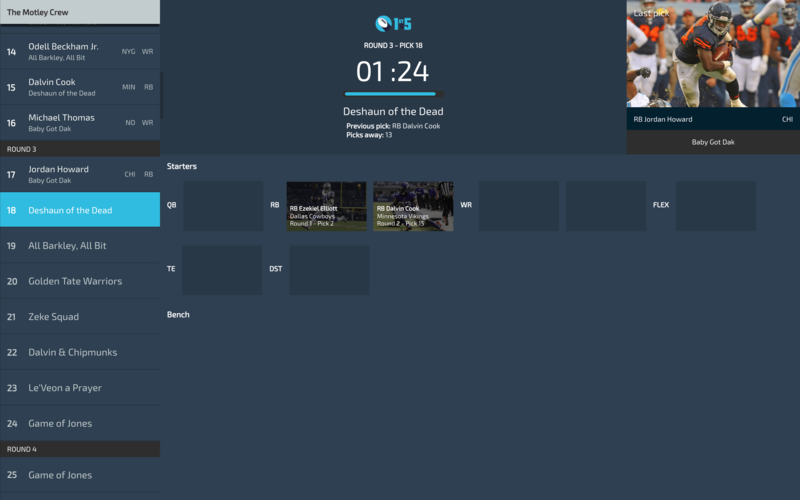 Make your picks and follow along with the draft from the comfort of your chair. Find the player for your squad and make the pick with the press of a button. Before draft day prepare with a mock draft that actually has your leagues players and rankings. Impersonate your league mates so you'll have an idea of what players will be available at each of your picks. The first three rounds of the draft are on us. Get a feel for how it works. Do a couple test runs with others in your league to make sure it suits your needs. If you're the commissioner, setup your league and invite others. You can also download the apps here.